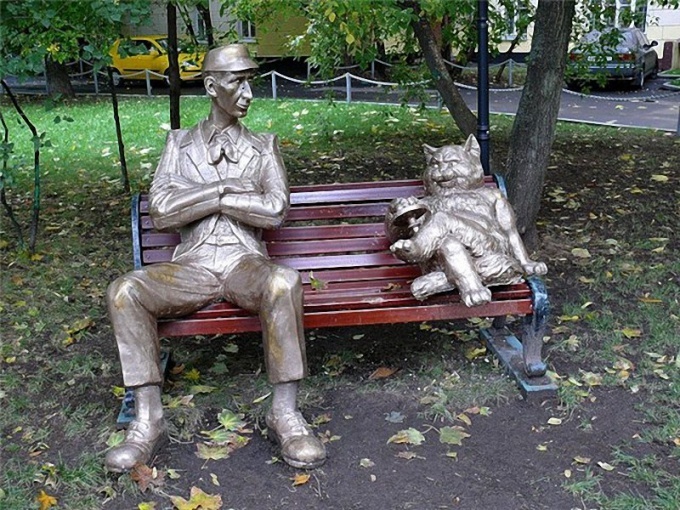 Mikhail Bulgakov is one of the most beloved of Russian writers. There are those whom his work was left untouched. In this case, every reader of your Bulgakov. Some like his satirical novel, others read and reread the novel "the Master and Margarita", Bulgakov third is unthinkable without "the White guard" and "Theatrical novel". The first major work of Mikhail Bulgakov novel "the White guard". The novel is set in Kiev in 1918. Although Bulgakov describes the events of the civil war, but it is a backdrop for a story about the house, so similar to the native home of the writer, and about family values. The main characters of the novel – the best representatives of Russian intelligentsia, doomed to die in the whirlwind of the civil war. Very beautiful and poetic language of the novel, especially the sublimely solemn start: "Great was the year and terrible the year after Christmas 1918, from the beginning of the revolution to the second..." unfortunately, the novel "the White guard" and remained unfinished. In the future, on the basis of the Bulgakov created the play "Days of Turbin". The huge popularity of the reader enjoys the satirical novel by Bulgakov "the Dog heart". Written in 1925, it was first published in the USSR only in 1987. the Soviet censorship 20 years simply did not allow her to publish, too hard was a satire on the "new man", born of the revolution. Today's popularity of the novel largely contributed to the screen adaptation, filmed in 1988, a famous film Director Vladimir Bortko. "Theatrical novel" is most popular among the intellectuals, especially those who has direct relation to the theatre. But for a wide circle of readers the novel is no less interesting. Perhaps, despite its second name, "the dead man" is the funny essay writer. In this Bulgakov said about the life of the theatre behind the scenes and about the misadventures of a budding playwright who dared to put his first play. Of course, all this is easy to guess the history of relations between Bulgakov and the leadership of the Moscow Art theatre in the play "Days of Turbin". One of the main characters of the novel is the devil, named Woland, with his hilarious and dangerous retinue. But diabolical forces are not evil but, rather, to restore justice, punishing sin and rewarding for the suffering and virtue. In the images of the Master and Margarita Bulgakov, in fact, proved to be a talented writer, did not find understanding with the official critics, and his third wife Elena Sergeevna – a faithful, loyal, ready to share with a partner any hardships of life and supports him in the work. Stand out in the novel so-called "Bible Chapter" - Chapter from the novel, created by the Master, which Bulgakov presented his own interpretation of the events that occurred in the last days of the earthly life of Jesus Christ. The novel "the Master and Margarita was never published in the author's life. The first abridged version was published in 1966. The official publication of the novel took place in 1973. Since then and to this day, "the Master and Margarita" is one of the most widely read in Russia works. Many times he was put on the stage, and was filmed by Director Yuri Kara (1994) and Vladimir Bortko (2005). The fate of the works of Mikhail Bulgakov was hard, many of them not immediately able to find your way to the reader, but now they are among the most popular, loved and widely read books.